Fishing for Futures is our most ambitious project to date. After revisiting Bakindik nursery school in April 2016 and seeing nothing has changed since our last visit in February 2015 Siiboo has decided to make the nursery its first major project and offer our continued – and increased – support and provide a conducive learning environment that will also provide benefits for the wider community. 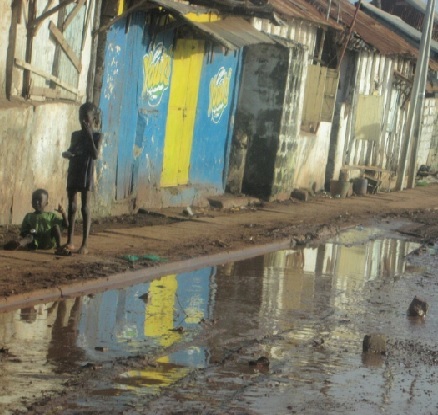 The Gambia is poor, cripplingly poor, with over a third of its population of 1.7 million surviving below the United Nations poverty line of $1.25 a day. Beyond Serakunda's busy street-side industries, and hand-to-mouth trading, and away from Banjul's decaying colonial centre around 70 per cent of the population work small plots of village land to survive. Despite the presence of the Gambia River, which runs through the middle of the country, only one-sixth of the land is arable and poor soil quality has led to the predominance of one crop – peanuts. Education is a costly experience for most people in The Gambia. Girls are assisted by the government in paying their school fees. In the past, boys were far more likely to be sent to school if their parents had a bit of money, while a girls had very little chance to succeed unless they came from a rich family. Before the Education Policy was formulated, less than 50% of Gambian children went to school. The educational curriculum for grade schools is uniform nationwide, designed by educators who work at Gambia College.The system of grade-school education is as follows in the chart below. Some students begin their education in the privately owned nursery schools; entering children are about four or five years old. Government-directed education begins at grade one, which students enter at age seven. At the end of Upper Basic school, a standardized exam will dictate whether a student is qualified to continue their education with Senior Secondary School. Unfortunately, many students are forced to terminate their education at the end of the Upper Basic cycle due either to monetary difficulties or failure to pass the exam. It goes without saying, a child that enters education aged four or five and can read and write by the time they attend Lower Basic stands a better chance of passing the exams and qualifying to continue in education at Senior Secondary School than a child entering education aged seven who can't read or write. As a young man Ba-saine Sanyang - a poor man (by his own admission) from Bakindik who now runs a juice bar in Serakunda – had a dream, his dream was to bring investment, development and opportunity to his village of Bakindik. 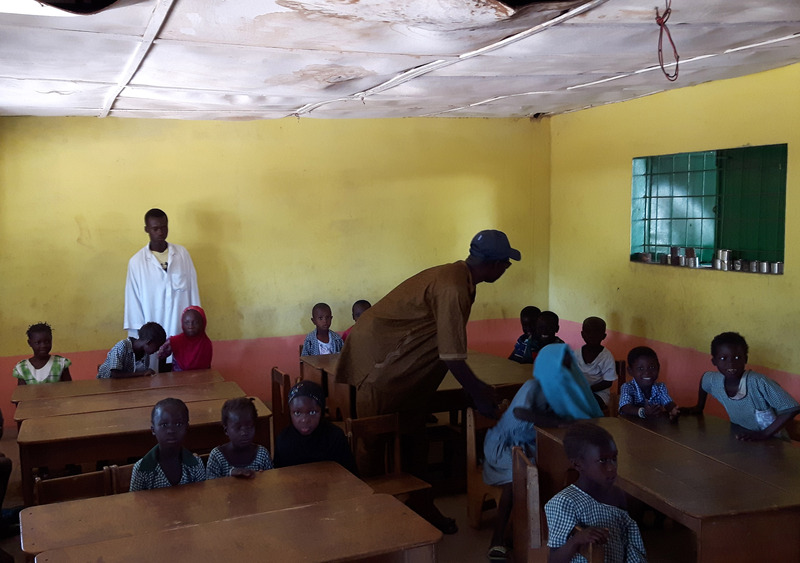 As the village had no pre-school education his priority was to build a Nursery and with the financial backing from the Demaro Association in Belgium Bakindik Nursery and Lower Basic School was built in 2008. From 2008 to 2014 the School was supported financially by the Demaro Association and the children paid a fee to attend. Fees collected form the children funded the headmasters salary and that of his teaching staff, the cleaners, the cooks and paid for the feeding programme which provided breakfast and lunch for every child attending the school. Regrettably at the end of 2014 the Demaro Association withdrew from it's activities in The Gambia and as a result school fees increased, these increases brought about a dramatic reduction in children attending. 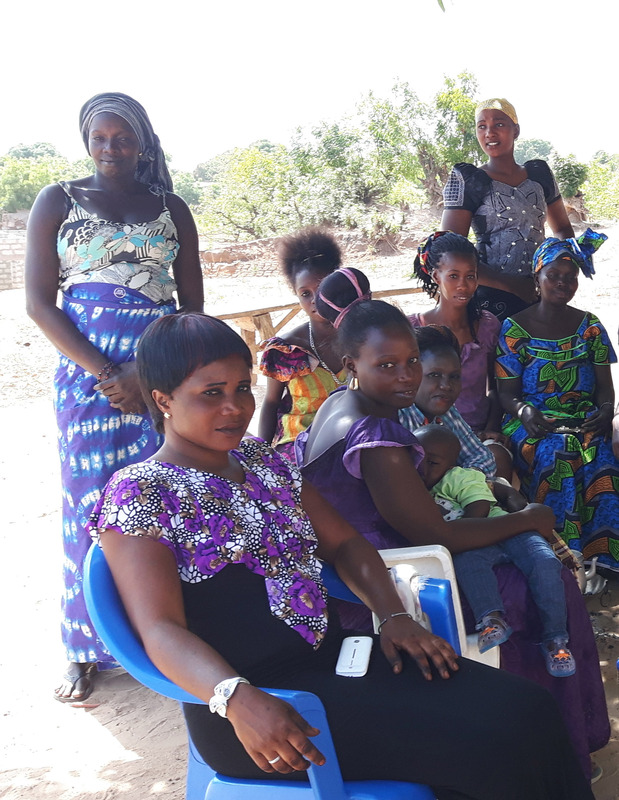 Pa Ebrima and his teaching staff made a significant and selfless decision so that the children would continue to gain a pre school education and dropped school fees altogether. Since then the School has been dependant on the generosity of the odd tourist who visits or Mr Sanyang meets through his work in Serakunda. Regrettably the feeding programme has stopped, the teachers are not being paid on a regular basis, the cleaners have gone and their learning materials are now minimal. 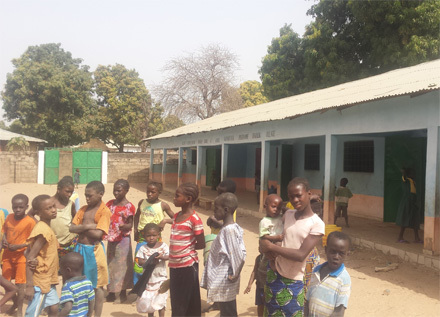 The Kabenkaffo used to support orphans at Bakindik nursery school by paying all their fees and financially assisting others when fees were being charged. The group currently supports 20 children in the Essua area of the North Bank Division who attend other schools. Improve the school site through the instillation of solar powered electricity and running water from a borehole for the benefit of the school and the wider community and use these services to create an additional income for the school to buy learning materials. Ideally situated on the banks of the River Gambia and with easy access to markets in Barrow and Banjul and the local one is Essau, Essau makes a natural home for for a small fleet of fishing boats to fish for shrimp which are plentiful in the estuary. Employing local fisherman with a sound knowledge of artisan fishing and a good knowledge of the river and estuary too Siiboo aims to have 2 boats on the river by the end of 2016 and hope to be running a profitable operation early 2017 when we hope to increase the small fleet. Managed by appointed members from the Kabenkaffo the operation will be monitored and audited by Siiboos representatives in The Gambia. Can you help with the cost of a boat and/or an outbaord engine? Please visit our SHOP to buy either or make a donation toward them, thank you. For more information on the project please contact us.